"But the widespread conviction that equality itself and as such has some basic value as an independently important moral ideal is not only mistaken. It is an impediment to the identification of what is truly of fundamental moral and social worth." I will come back to this statement later in this article! Now, although I admit the book led me to think of Equality as I never did before, it still seems to me like Mr. Frankfurt is kind of focusing on a nutshell. His concept of equality is in fact purely based on possession and property, while I think it is obvious that such a discussion should be focusing on rights instead. For instance, as endorsed by the author it is true that our society (or maybe our economy) is now more than ever based on "needs creation" and that we often need something just because someone else need that "something", and it is also true that we human become more sensible-emotional when we see someone who can't benefit from minimal living condition rather than when we see someone who can't afford to buy the same latest mobile phone we got. What cannot be ignored is that in our planet resources are limited, and therefore, can we still assert that we have no moral obbligation to pursue equality? Isn't poverty in a first place a matter of resources' allocation? In few words I could either think that if everybody had enough I would not care about me having more, or I can be realist and acknowledge that me having more comports someone else around the planet not having enough. Once again, I could discuss with Mr. Frankfurt about what does the word "enough" mean, or we could start working hard and making great sacrifices because we acknowledge all together that in our world there are 80M kids who have absolutely no right to education, 850M people who are undernourished and 670M who have no access to safe water. Of course we can ponderate about the beauty and complexity of what for each of us the words "enough" or "sufficient" mean, but at the end of the day the world would be exactely the same; but if we want to make this world a little bit better, day by day, then yes, we need to be convinced and to convince others about the fact the each human in Earth should have equal opportunities. This is the basic value that the INDIPENDENTLY MORAL IDEAL OF EQUALITY bring with itself. 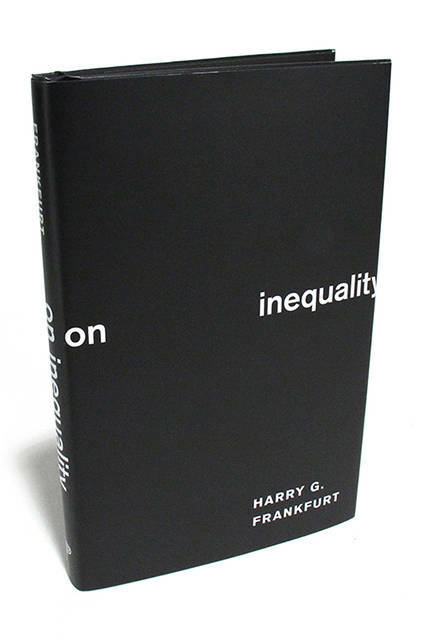 Although we should be grateful to Mr. Frankfurt for his scientifical efforts and achievments, I think that this book might slow down our urge as human beings to look for a fair distributions of wellness across disadvantaged geopolitical zones and social classes, it weakens our altruism and threatens our common sense of solidarity. No best quotations in this reading. Thank you for reading my reviews, I would appreciate if you could comment and share my post, keep checking my blog for more reviews or visit my . If you are wondering, I do not receive any kind of benefit from any person, institution or company for writing my reviews.